In the list of candidate recommendations that follow, you’ll not likely find anyone endorsed by the Star-Telegram. Being in every way a far-left newspaper, their preference is always the candidate most likely to continue the liberal agenda of bigger government, higher taxes, and a steady erosion of citizen rights. With that in mind, at the end of our recommendations you’ll find the Star-Telegram recommendations. Tony Tinderholt in the Texas State District 94 Representative race. Bill Zedler in the Texas State District 96 Representative race. Before moving to the complete list of recommendations, we’d like to say something about the three candidates cited above. While all Republican candidates claim to be conservative, not all are. However, the three gentlemen cited above are the real deal. Conservatives don’t come along any better than these guys! Bill Zedler has no opponent. Neither should Tony Tinderholt have an opponent, Tony has done a masterful job in Austin as a freshman representative, respectful to leadership yet rock firm in the convictions we sent him there to defend. No opponent could be more conservative, so it follows like night and day that Tony’s opponent has been put forth by interests wanting a return to the liberalism that was there before Tony. If you want a return to wasteful spending and government for special interests, you want the other guy. Otherwise, you want Tony Tinderholt. Bill Waybourn is the kind of sheriff Tarrant County needs. The Star-Telegram has endorsed the incumbent. No surprise there. That paper makes no secret of its preference for open door immigration, be it from south of the border or from Muslim lands. The Star-Telegram wants to keep the current sheriff because he is “saving Taxpayer money.” Now, anytime a liberal paper worries about saving tax dollars, you know there’s more to the story. What they are really saying is that the current sheriff has “saved money” by not involving the sheriff’s department in managing the illegal alien problem. The Star-Telegram suggests that the current sheriff can’t chew gum and walk at the same time—manage the county jail and work with other police agencies on a county-wide basis. Of course the man can. He just won’t. Bill Waybourn will be an improvement. He will be proactive. If you elect Bill Waybourn, he will do the job right. 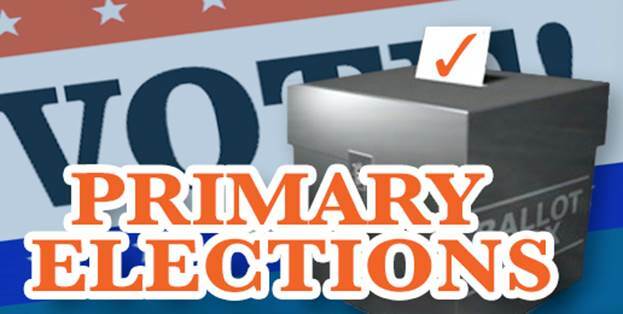 Here are more outstanding conservative candidates Opinion Arlington hopes you’ll consider when you go to vote in the March 1st Republican Primary. Colin Baker, U.S. 6th Congressional District, challenging a very tired and time-to-go Joe Barton. Michael Massengale, Place 3, multiple endorsements by conservative organizations. Rick Green, Place 5, note that two candidates with same last name running. 2nd Court of Appeals, Dabney Bassel, winner Tarrant Country GOP straw poll, TC Bar Assn.